This Friday, June 1st at 4pm, we’ll be releasing our second batch of Demitone. For Demitone, we brewed a young farmhouse ale with raw Texas Hill Country water and fermented it in stainless steel with our mixed culture of native yeast and bacteria. 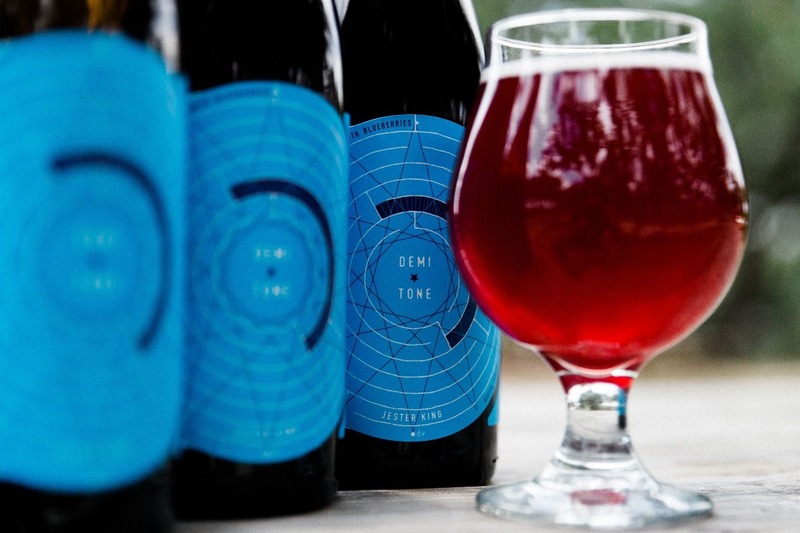 We then refermented that beer with the “spent” Texas-grown blueberries used in Colour 5. We find that the second refermentation of fruit creates a more subtle beer that still embodies the character of the native fruit. This batch of Demitone was bottled April 26th, 2018. It’s 5.5% ABV, has a specific gravity of 1.002, 12 IBUs, and a pH of 3.41. Demitone will be available by the glass and in bottles to go (750mL/$18). Around 2,700 bottles are available. There's no bottle limit. Aside from special events, Demitone will not be available outside of our tasting room.